Is there anything better than a fresh batch of cinnamon rolls? I really can’t think of anything. In the past I only made them occasionally but I’m thinking that might change now. 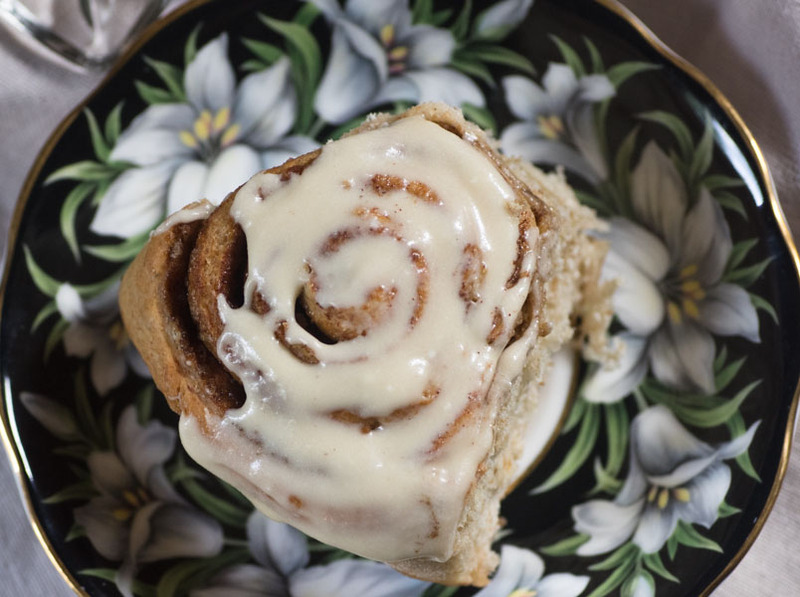 I developed these Caramel Iced Cinnamon Rolls to be a lighter, healthier, everyday kind of cinnamon roll. Made from a base of my Simple Multi-Grain Bread recipe, the rolls themselves have no butter, sugar, milk or eggs. 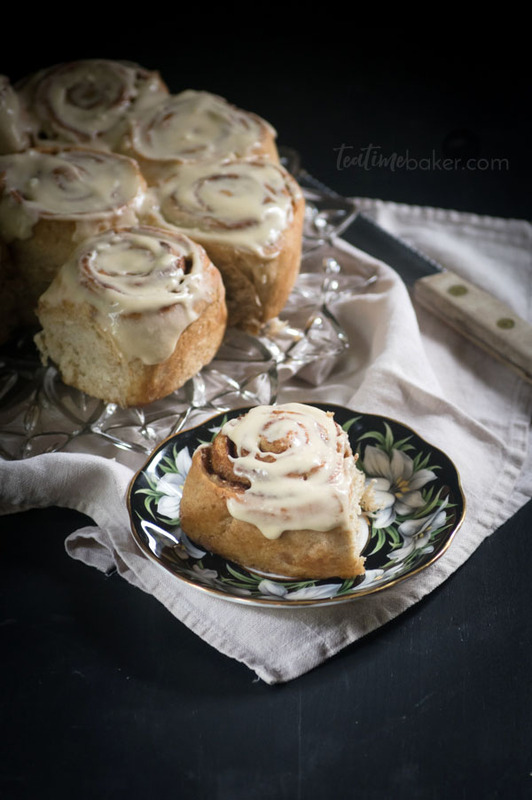 Now, I realize this doesn’t sound like a great start for cinnamon rolls but trust me, these are amazing! 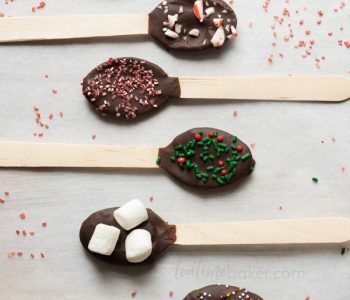 Super soft, flavorful and guilt-free!! 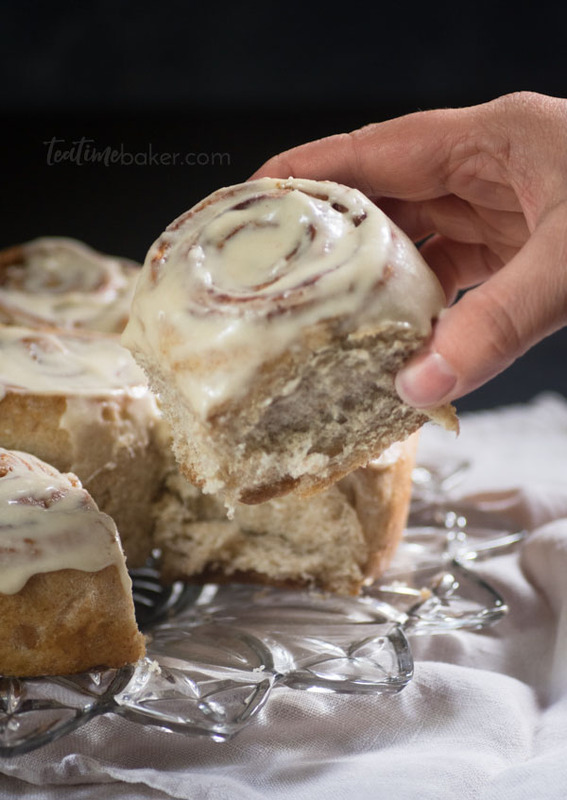 Since the rolls are nice and healthy you can splurge a little on the icing. Remember how I said you’d need caramel this week? Here it is! 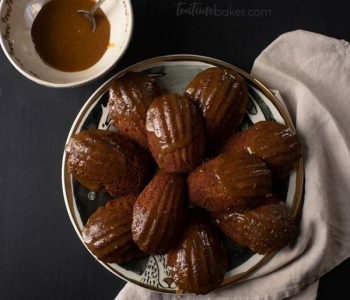 We’re using last week’s Homemade Caramel Dipping Sauce to bring some extra awesomeness to the icing. 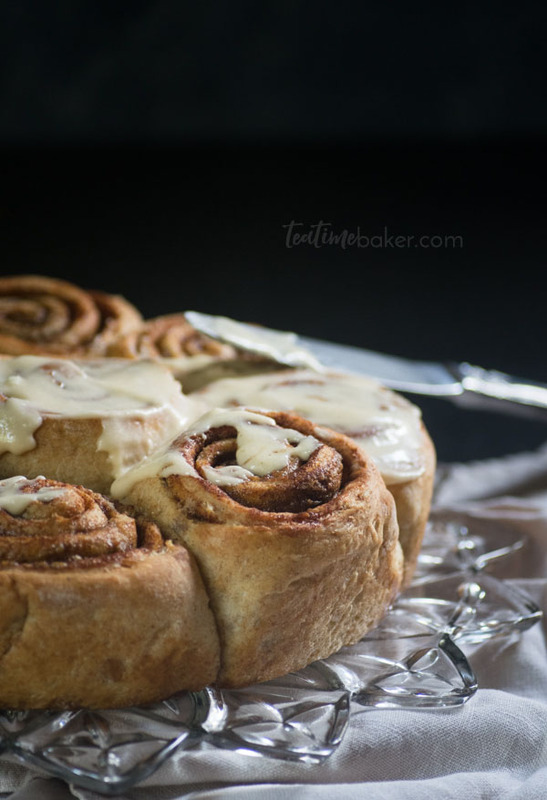 I could probably go on and on about how much I love Caramel Iced Cinnamon Rolls but I’m just gonna throw some pictures at you to make you hungry instead! You’re welcome. . .
Fresh from the oven. 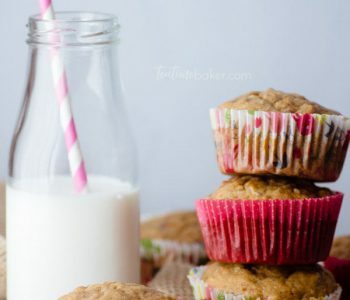 You can share with eight other people, or just have one every morning for breakfast! Now that you’re good and hungry, a few final thoughts. One batch of 9 cinnamon rolls only takes half a recipe of bread so you have several options. 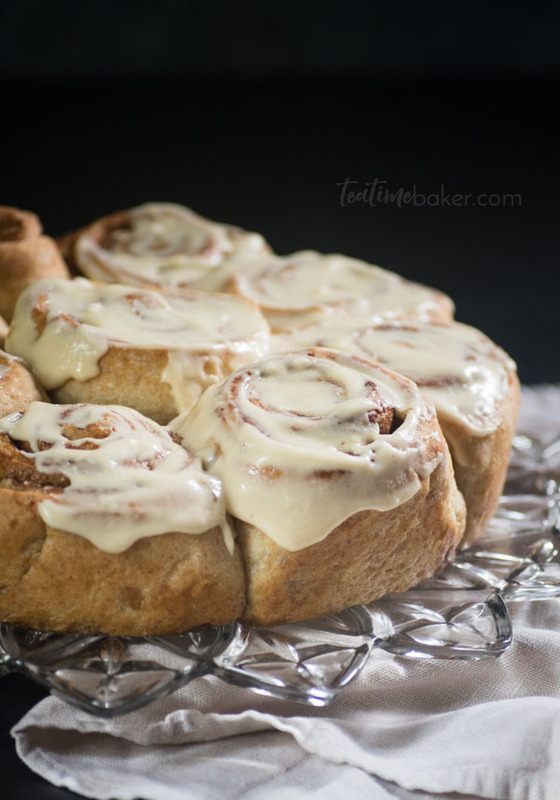 You can make 18 cinnamon rolls and share with someone you love. Or make one batch of rolls and one loaf of bread which is practical. You could also just make a half batch of bread for just cinnamon rolls. I usually go for option 1 or 2. 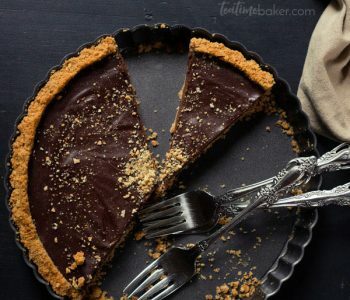 You can bake both at the same time for the same amount of time so it works out well. Our weather in Ohio is just perfect for this kind of comfort food. A lot of people are feeling the need for comfort right now. If you’re in one of those areas my prayers are with you. I wish I could bring you some fresh rolls and give you a hug! If you’re close to any of these places give someone some comfort food and hug for me. 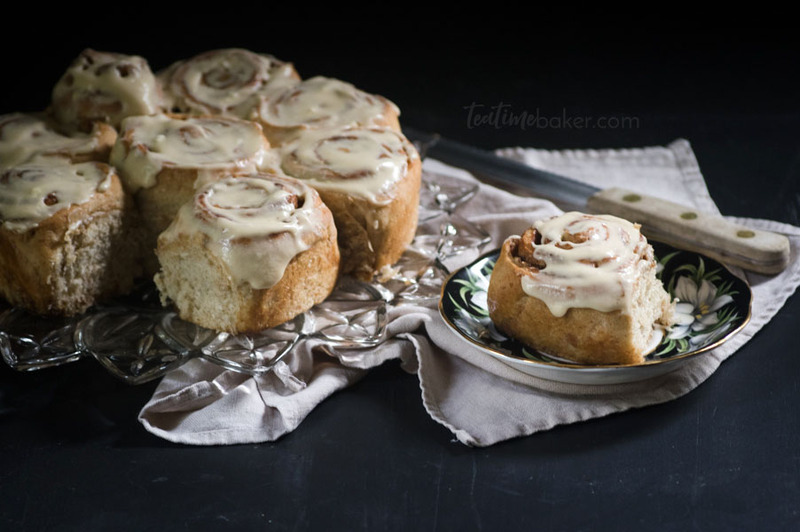 Soft, delicious, multi-grain homemade cinnamon rolls topped with caramel icing. Guilt free for any day of the week! 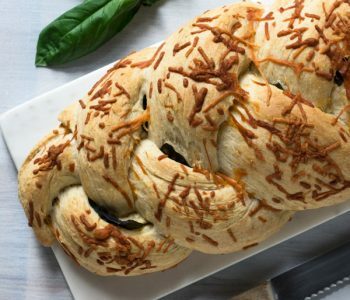 Make double and share with your friends! Make the bread dough and let it rise at room temp until it has doubled in size 1-2 hours. Pre-heat the oven to 350 F (175 C) and grease a 9" (23 cm) round cake pan. If you made a full batch of dough, divide it in half and put one half back in the bowl. Lightly flour the counter and roll the other half out into a rectangle about 14" x 18" (35 x 45cm). Let the rolls rise for about 30 minutes and then brush with the remaining butter and bake for 40 - 45 mins on the middle rack of the oven. 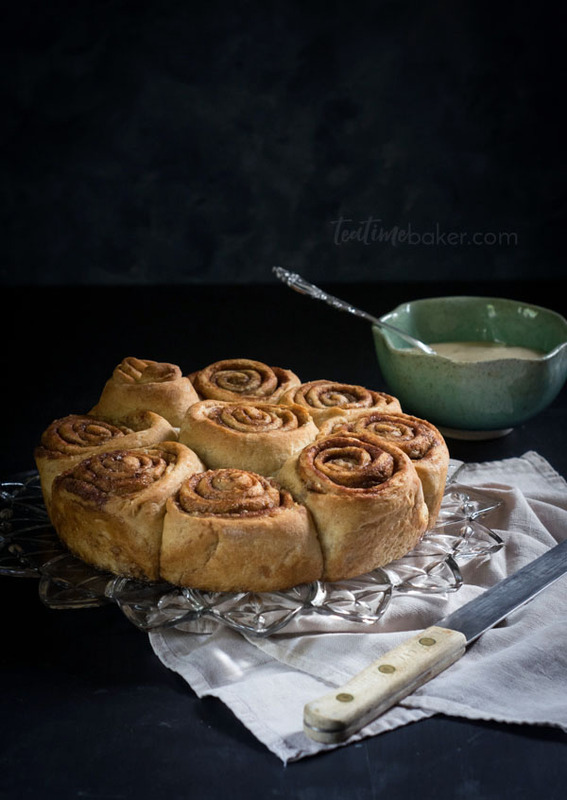 Your cinnamon rolls should be a deep golden brown and sound hollow when tapped. Put the butter, caramel, powdered sugar and milk into a stand mixer and beat to combine. If you want to adjust the consistency add another Tbsp of milk to thin or 1/4 cup powdered sugar to thicken.